Lions club makes a donation to Variety Club. In the picture, Paul Chantry Past President Lions Club, Angus Murphy CEO of Variety Club and Dan Hummel PDG, Lions Club. 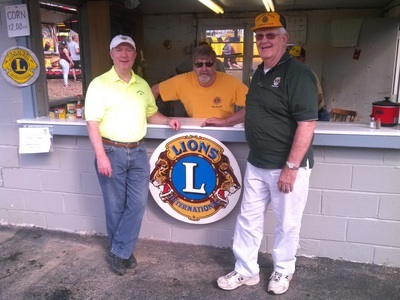 The Audubon/Oaks Lions Club was chartered and formed on October 25, 1950 and has since been providing community service and help to families of the surrounding communities for the 64th year now and have gained 7 or so new members in the last 2 years. We have the great pleasure of still having one or two current members in the club that were on the original charter for the club. Due to surrounding community lions clubs folding and going under the Audubon/Oaks Club has gained major territory and now covers a fair number of communities surrounding the Audubon/Oaks area. • Organize an event that emphasizes equal capabilities and talents of people who are blind, visually impaired or deaf-blind. Special themes may be chosen to focus public attention on a facet of blindness and visual impairment. Eyeglass recycling is one of the Lions' most popular activities. Although the program was officially adopted by the association in 1994, Lions have been collecting glasses for more than 80 years. Refractive errors can be easily corrected with eyeglasses, yet millions in developing nations lack access to basic eye care services. Lions have recognized the urgent need for corrective lenses and continue to lend their support to the Lions Recycle for Sight Program. The Audubon/Oaks Lion's Club has a permanent mailbox stationed at Dr. Specs in the Audubon Square Shopping Center as a result of an Eagle Scout Project done through the club by a now current club member. Every March the John James Audubon Historical Society run their Sugar Maple Festival & Pancake Breakfast. It is a popular event with the locals usually bringing about 800-1000 people out to learn about making maple syrup and the process. Our Club is responsible for all the cooking for the pancake breakfast which is also another fun and enjoyable time and we again split proceeds 50/50 with JJA. Our club runs two yard sales a year one in the spring and another in the fall. This is an open to the public yard sale and anyone in the community may pay $10 for a parking space and sell their items. This has been a big hit in recent years bringing out quite a few people looking for those good bargains as well as we've had an increase in sellers also. We also run a snack stand along with the yard sale on the side selling hot-dogs, soda, chips and many delicious baked goods. We do not split costs with anyone for this event so our club makes a good amount that we put towards charity donations and supporting of other lions events for the year. The Pathway School is a unique institution known for its multi-sensory approach to instruction, utilizing a combination of clinical, behavioral and educational specialists to meet individual learning and behavior needs. Pathway provides a comprehensive program of services for children between the ages of 9 and 21 for whom mainstream public and private school education is insufficient to meet their needs. These youngsters display severe neuro-psychiatric disorders and complex learning issues necessitating focused learning environments. The Pathway School develops and implements innovative, quality programs and services that enrich the lives of children and young adults with special needs. Pathway builds the independence of its students in a nurturing and challenging environment that best prepares them for life after Pathway. The Audubon/Oaks Lions Club sponsors a Leo's Club which is a branch of the Lions Club that promotes service, leadership, and community good and helps the students with performing it and making them aware of what is around them and how they can get involved. 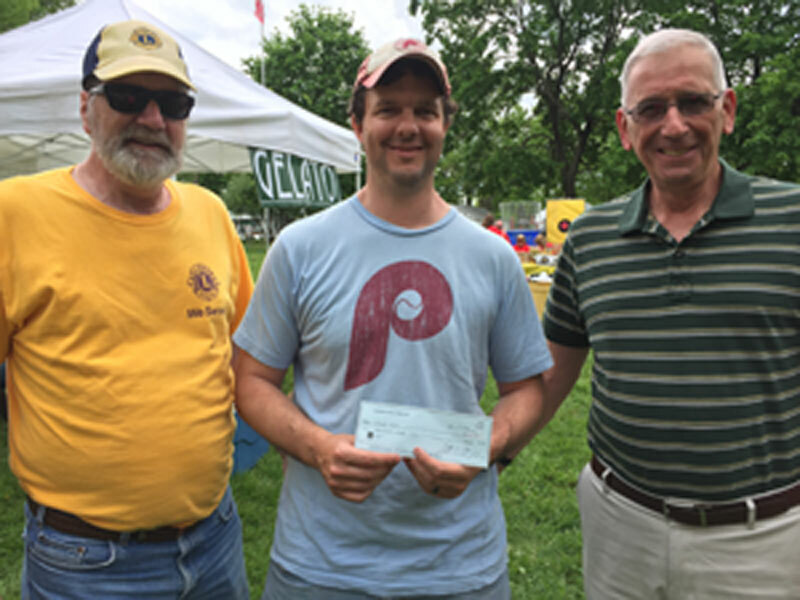 The Audubon/Oaks Lions Club is the sponsoring body and institution for a Boy Scout Troop 313 within the Cradle of Liberty Council. As the sponsors we oversee the leadership, guidance and function of the troop in-order to make sure it is ultimately successful and thriving, Many of our members are affiliated with the troop and do various activities and fundraising with them from camping to helping them promote things. The Pennsylvania Lions Beacon Lodge Camp is a beautiful five hundred and eighty-three acre summer camp for children and adults with special needs including blindness, deafness, and many other physical and mental challenges. Is to provide all individuals with special needs, the opportunity to enjoy a camping experience encompassing recreational, educational, and personal adjustment. Special emphasis is placed on stimulating interests and appreciation for recreation and learning, and to encourage attempting new challenges. Our Club while making a yearly visit to the camp in the summer also contributes and donates the the operation and running of the camp be it through time, money or service as what is needed. Please join us in serving our community today!